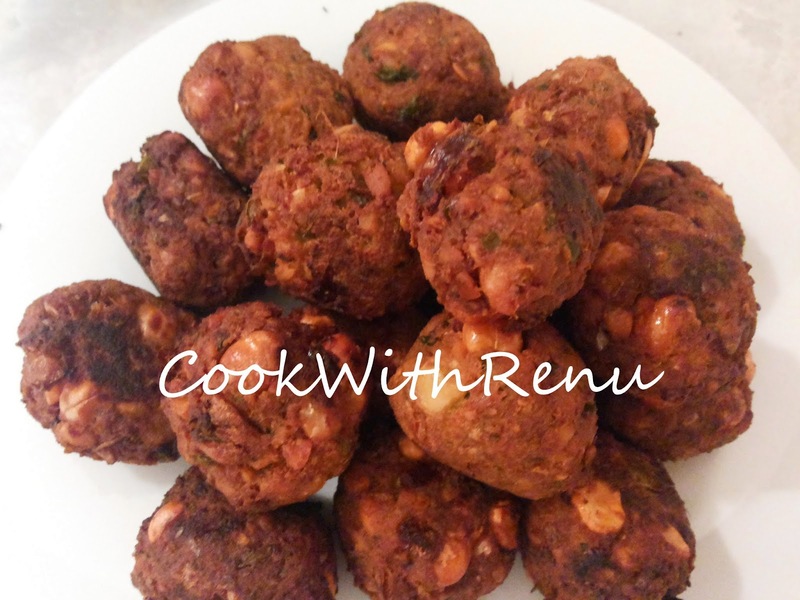 Inspired by falafel, I made this, or I simply call it as Chick peas (Kabuli Chana) vadas :-). It is fried and eaten with tortillas or Pita bread and is very easy to make. Now I simply eat it with Roti. 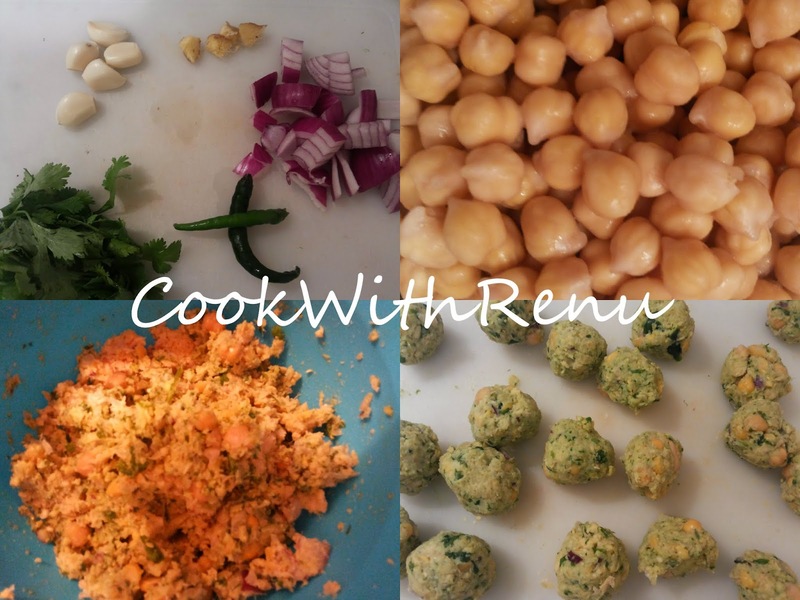 Add some grated cabbage, capsicum in roti crush the falafel and your wrap is ready. It is typically served with Tahini Dip. Made just once yet to master it. But I simply eat it with tomato ketchup :P. So here goes the recipe. In a food processor or your mixer jar grind all the ingredients together. Do not add water. We want a coarse paste. Keep the oil for heating. In the mean while make small balls around 1 inch in diameter. Once the oil is hot (medium hot), add the balls and fry it on medium heat, so that it gets cooked properly. Cook it until brown allover and you are done. Yummy vada are ready. Serve it with tahini dip or tomato sauce or as wrap in tortilla or our Indian roti or chapati. I do not have a food processor or an Indian mixer. I just have a genie type blender. So it gets difficult for me to grind the chick peas. In this case, I simply microwave the chickpeas for 2-3 minutes and then grind it so that it becomes a little easier.